Hunt n' Party is a benefit concert for local drummer James Hunt, who was diagnosed with pancreatic cancer. A bunch of bands have come together for the benefit including The Amosphere, Crosscut Saw, Neon Profit, Bryan Dean Trio, Tall Paul Band, Top Dead Center and many more. 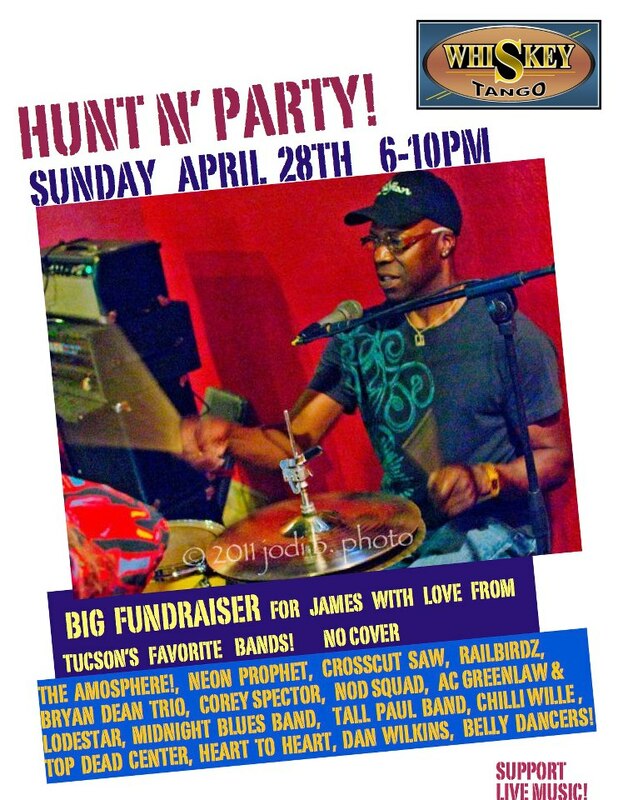 It's this Sunday starting at 6pm at Whiskey Tango (the old Fenderskirts at Kolb and Broadway).